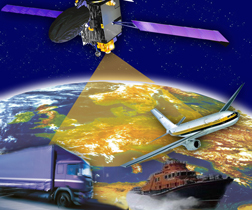 As described in the November-December issue of Inside GNSS, “Interference Localization from Space,” radio frequency interference causes the satellite industry to lose millions of dollars per year due to detrimental effects, ranging from a degradation in the quality of service to the complete loss of service. After months of testing, the European Space Agency (ESA) has announced that Galileo satellites 13 and 14 are transmitting healthy navigation signals and ready to relay distress calls to emergency services. 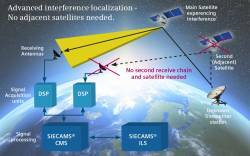 The satellites, launched from Europe’s Spaceport in French Guiana on May 24, went through lengthy testing that included receiving and uplinking signals through specialized antennas, ESA said. Some of the tests included navigation and search and rescue payloads methodically switched on, the agency said. NASA plans to launch the Cyclone GNSS (CYGNSS) hurricane mission aboard a Pegasus XL rocket on December 12 from Cape Canaveral Air Force Station in Florida. CYGNSS, which is NASA’s first Earth science small-satellite constellation, will help improve hurricane intensity, tracking, and storm surge forecasts, the agency said.